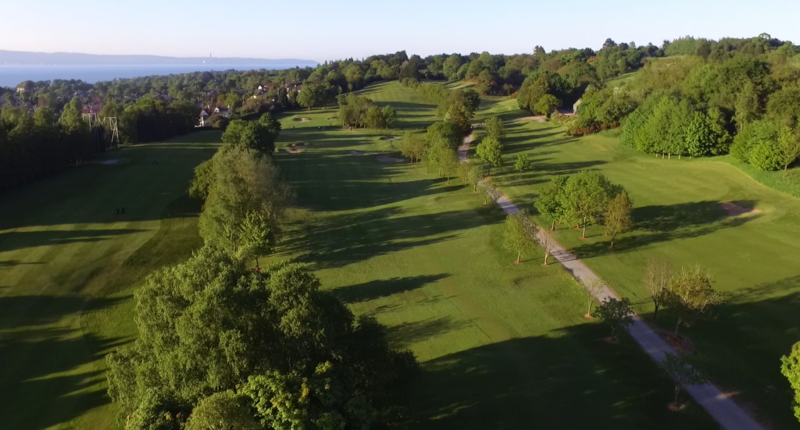 Holywood Golf Club is putting a lot of work into improving their facilities at present as they look to continue to develop what they can offer to their visitors. Golf Club Magazine recently caught up with General Manager Paul Gray to find out more about the good work that they’ve been doing lately. He told us, “I grew up at Holywood as a junior member and when I turned Professional I worked in a local Club called Blackwood before moving on to Killarney Golf and Fishing Club in Kerry. Then in 1999 the position of Head Professional at Holywood came up and I was lucky enough to get it. “It is the most exciting chapter Holywood has ever witnessed. Not only with the emergence of Rory McIlroy but we are building an extension to the Clubhouse which will contain a state of the art fitness suite, an indoor golf entertainment bar and three state of the art Academy Bays with the latest technology. I was looking for ways to bring new customers to the Club and also upgrade our teaching provision through an academy and had put together a scheme on a scale that I felt the Club could afford. I happened to be in my local gym one morning and bumped into Rory. We were chatting about golf fitness and I was telling him my plan to put in a gym and academy at the Club. He immediately wanted to be involved and called up that day to see the plan, from there he made the dream possible with additional help and today we are building some of the finest facilities in the world. “After a terrible winter we have been playing catch up but the summer has started fantastically so hopefully it continues. Our building work is on schedule and that really is the focus for this year. We aim to complete the development at the Club in March 2019 just in time for the return of The Open Championship to Northern Ireland. Everyone is really looking forward to the return of the Open and excitement is starting to build, it is going to be one of the greatest crowds the Open has ever seen. “Holywood has always encouraged and nurtured young talent. Today we aim to take this a step further and make Holywood the number one family Club in Ireland. We have employed a PGA Professional to teach and run a Junior Academy at the Club. His role is to develop the young talent and grow the numbers of children participating in golf. “We are absolutely a community club. We are located within the Town of Holywood and a big part of our membership live in the town. We want to do more for the community when we get our academy built and see if we can give something back to those who need it most in the town. “If you’d like to get involved visit our website www.holywoodgolfclub.co.uk or call or email us. Holywood is going to be more than just a golf club it’s going to be a Lifestyle. It’s a place where there is lots for you children to do and get involved in. It’s a place where you can leave your kids into one of our camps and go get a personal training session in the gym all as part of your membership. It’s a place where you will be able to play golf all year round no matter what the weather is doing outside on our indoor golf simulators. “I think we are over the worst of the recession, I see people coming back to golf. I think the Open coming to Portrush is going to help and Belfast is attracting more and more tourists every year. There were over 100 cruise ships that docked in Belfast this year, there are around 14 new hotels being built or just completed. Room occupancy is soaring and what was once a city under siege is now one of Europe’s hottest city breaks. There is lots to see and do in Belfast but people come and enjoy the life here, they enjoy the people and the welcome. So with all this opportunity the challenge is to capitalise on it and do something unique that will interest people, that’s what we are trying to do at Holywood. Most Golf Clubs need life around them, they need activity, they need families and kids. So to get that you have to meet their needs and have services and facilities that widen the offer from just golf. It can be a challenge without investment but if you find the right people they will make it happen. “Our ambitions are to get the Academy up and running is the priority and grow our membership with new fitness and leisure members and golf academy members. We then have plans to redesign the course so that we can install a proper driving range, they are very ambitious plans but I feel that’s my job.